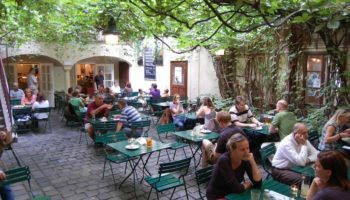 Known over as a center for music, art and great cuisine, Vienna is one of the most popular travel destinations in Europe. With nearly 200 palaces, castles and churches, the capital of Austria has an abundance of architectural sights to explore and enjoy as well. From the Vienna State Opera House to the centuries-old coffee houses, there’s always something new to discover in this beautiful city on the Danube River. 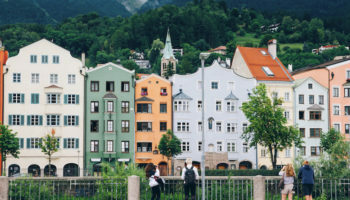 With its modern transportation system and comfortable accommodations, the gateway to central Europe serves as a great base for explorations farther afield too. Here are several day trips from Vienna that are definitely worth taking. Bordered by four rivers, the Vienna Woods is the best known of the five districts that comprise Lower Austria. Once designated as a hunting ground for Austrian royalty, the woods were nearly lost to development during the 19th and 20th centuries, but public outcry caused to the government to declare the Vienna Woods a protected area in 1987. The forested highlands still surround Vienna, although the woods are thinnest on the city’s eastern side. 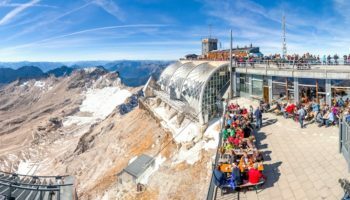 The forest can be easily explored by taking a tourist train or tram to the top of Kahlenberg hill, where visitors can enjoy stunning views of the woods and the city. Located west of Vienna, the historic city of Krems marks the point where the blue Danube and the Krems rivers converge at the beginning of the Wachau Valley. During the 12th century when the House of Babenberg ruled Austria, the city rivaled Vienna in size and importance. Today, the city’s main tourist attraction is the beautifully preserved 18th-century Old Town quarter that climbs from the shore of Danube into the hills. Krems is rich in culture too. A stroll along the city’s Arts Mile leads visitors past an intriguing array of galleries, museums and shops. Restaurants and bars serve wine made from locally grown grapes. Easily accessible from Vienna by rail, bus or car, the capital of Slovakia can also be reached by taking a scenic hydrofoil ride down the Danube River. Ancient Bratislava has been occupied since the Neolithic era by a seemingly endless number of conquerors. 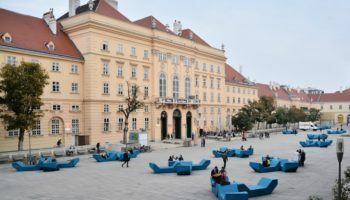 Now one of the most prosperous cities in Europe, Bratislava has recently renovated its medieval Old Town quarter to a nearly pristine condition, with the addition of many outdoor cafés, pubs, shops and restaurants. The district is dominated by the hilltop Bratislava Castle, a structure first built in the 13th century that has also undergone extensive renovation. 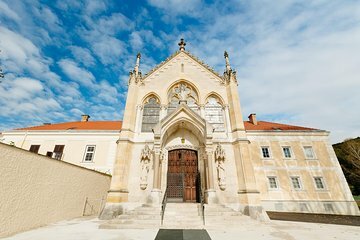 The wealth of Austria during the 18th century is on full display at the magnificent Benedictine monastery at Melk in the Wachau Valley region west of Vienna. With its 20-story-high dome, ornate towers and opulent interiors, the abbey is a gorgeous example of High Baroque architecture. The original structure was built in the 11th century as a castle on a rocky outcrop overlooking the valley, but most of the current buildings were constructed between 1702 and 1736. 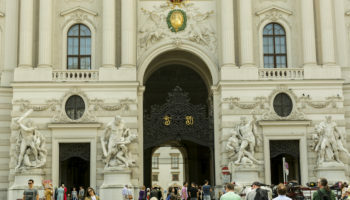 Standout attractions include the abbey church of St. Peter and St. Paul, the baroque ceiling frescoes by Austrian artist Paul Troger and a library that houses more than 100,000 books and manuscripts. A two-and-a-half-hour drive east of Vienna along the Danube takes travelers to Budapest, where the river divides the capital of Hungary into two distinct districts. The hilly Buda section boasts the 13th-century Royal Palace, a mammoth structure that has been destroyed and rebuilt six times over its long history. The complex is now home to the Budapest History Museum and Hungarian National Gallery. The flatter Pest side of town features the city’s revitalized Jewish quarter, which has the second largest synagogue in the world. With more than 100 natural thermal springs in the city, no visit to Budapest is complete without enjoying a relaxing dip in one of the city’s spas. 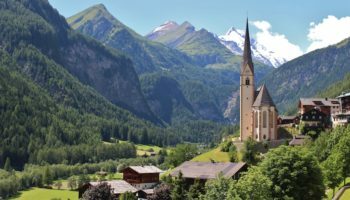 Fans of the 1965 movie “The Sound of Music” may find it hard not to burst into song when visiting Salzburg, the Austrian city that served as the backdrop for the much-loved film. 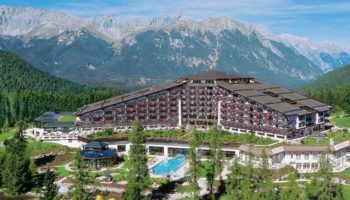 From the baroque architecture and picturesque gardens to the blue Salzach River and surrounding snow-capped mountains, the place that the singing Von Trapp family called home is simply enchanting. As the birthplace of Wolfgang Amadeus Mozart, Salzburg is a popular travel destination for lovers of classical musical too. 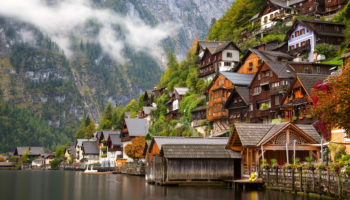 With its beautifully preserved medieval quarter, hill-top castle, Renaissance churches and charming array of specialty shops, the fourth-largest city in Austria is a day trip from Vienna not to be missed. 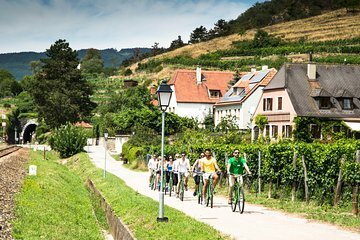 Whether explored by bike, car or a cruise down the Danube River, the Wachau Valley is universally acknowledged as one of the most picturesque landscapes in Austria. The entire valley is bordered by castles, vineyards and quaint villages. The valley begins west of Vienna and stretches for 40 km (25 miles) between the cities of Krems and Melk. Vineyards in the Wachau Valley produce some of the Austria’s best wines, and the pretty town of Dürnstein is a great place to stop and sample the varietals. Castle ruins in Dürnstein are all that remains of the place where King Richard the Lion-Heart of England was imprisoned in the 12th century. 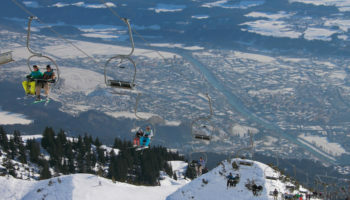 Near to Vienna is the Mariazell. A must see destination. Especially by train in winter it is magic. In addition Hallstatt is also great by train.